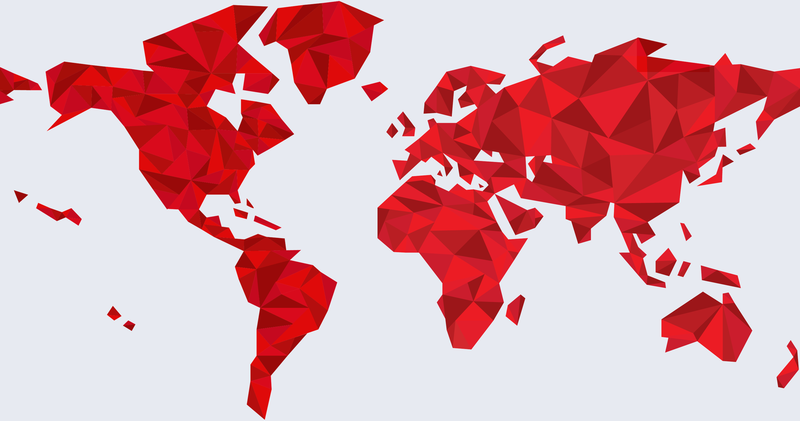 Our training centres are located all around the globe in strategically selected locations, aiming to provide the highest quality of classroom and online training solutions. One-stop solution for ECDIS training based on high quality standards. Since its establishment, Cosmos Nautical Training Centre (CNTC) which is a fully equipped Maritime Training Facility, keeps evolving in the industry, by offering advanced maritime training and educational programs. Through high technology, modern teaching facilities and equipment, Cosmos Nautical Training Centre, offers properly designed and value-added courses and seminars, aiming to upgrade the skills of seafarers and to promote safety and excellence, in line with the demands of the industry. CNTC delivers cutting-edge solutions and provides up-to-date programs in the areas of Management, Human Resources, Engineering, Cargo, Navigation, Information technology and Pollution Prevention covering all IMO aspects and standards, always taking into account the SOLAS, MARPOL, STCW, MLC, INTERNATIONAL CONVENTIONS. Our website www.cosmostraining.gr seeks to provide a vista into the CNTC, its facilities, the organization and the range of services offered. Odessa Maritime Training Centre (OMTC) founded in 1998 is the biggest training centre in Ukraine which conducts all the courses for seafarers of all ranks. OMTC is equipped with a powerful training base which includes full-mission bridge and engine room simulators, as well as real shipboard equipment and systems of leading manufacturers (Kongsberg, TRANSAS, Furuno, MPRI, JRC, etc. ), practical lessons which give the seafarer an opportunity to gain the required competence and skills. Practice of functions relating to emergency situations, safety techniques, ship security, medical care and survival is conducted in the training facilities, equipped with swimming pools, firefighting appliances and fire facilities, lifesaving appliances and other equipment. An important component of qualitative training of seafarers in our centre is the highly qualified teaching consisting of: deep sea captains, chief engineers, electro-technical officers, professors, doctors of philosophy and doctors of science with long-term industrial and educational experience. Ocean Training Centre (OTC), is located in Istanbul and provides training and ECDIS Navigation Audit & Consultancy services. We built our services based our customers’ satisfaction, thus we work towards maintaining the highest standards of training in the maritime industry. OTC is committed to exceed the expectations of its customers, by having adequately qualified instructors and staff, ensuring to satisfy the demands of every client, either an individual or a company in the industry. Nautilus Pacific Maritime Training Centre Inc. in Manila, was established in 2012 with the sole purpose to provide and deliver quality training for the Filipino seafarers. The introduction of new and additional state-of-the-art training and simulator equipment along with the modern and cosy classrooms, provide all the necessary materials and create the necessary environment needed in order to provide high level training. Nautilus is accredited by DNV-GL with ISO 9001:2008; it is also accredited by the Marshall Islands, Liberia & Panama Flags Administration and consists of the Associate Member of INTERTANKO. Nautilus is also accredited by ABS Academy under relevant industry standards. At the present moment, Nautilus operates 24 STCW courses, more than 40 in-house developed Courses & a big number of ECDIS specific courses as well, under the strict supervision of our instructors. Nautilus became a training partner of Safebridge in 2016 and since last year it is the exclusive ETC provider in the Philippines. The Caribbean Maritime University (CMU) is by name, content and operation, the Caribbean region’s centre of excellence for the training of professional seafarers and personnel in the shipping, logistics and supply chain management sectors. Our mission is to redefine maritime excellence, through innovation and technology and additionally to be considered as the maritime university of choice for global leaders. People matter – this is our fundamental belief and it is of utmost importance for the safety and smooth sailing of our customers’ vessels. In that respect, we operate under a Quality Management System according to ISO 9001:2015 certified by BUREAU VERITAS Certification, Certificate Number RO2017.091.036Q, & according to BUREAU VERITAS criteria for Certification of Quality Management Systems of Maritime Training Institutes or Simulator Centers, Certificate Number RO2017.091.036TI. Our training center is equipped with state-of-the-art equipment, featuring: Full mission dual Bridge, including Arctic Operations and Engine simulators which can work in integration. A comprehensive list of courses taught by highly experienced instructors. Theta Training Center is a specialized provider of Maritime Learning and Development Solutions certified and monitored by ABS. Our ambition is to provide courses that extend beyond the traditional curriculum and present you with training solutions to address your needs. A dedicated training center with experienced and qualified trainers and assessors for onboard and ashore training, authorized by various ECDIS makers. QGMTC in Batumi provides top-quality maritime educational opportunities for seafarers, with exceptional instructors and high-rank professionals as part of their team. Following current industry regulations, the company offers trainees the highest quality education at a state-of-the-art facility. Training courses include: the Bridge Simulator, Liquid Cargo Handling Simulator, Engine Room Simulator and ECDIS Type-Specific training. Founded in 2009, Safebridge is located in the third largest seaport in Europe and the leading logistics metropolis, Hamburg, Germany. 2015 represented a turning point for the company, as it expanded its business and found a safe haven in Limassol, Cyprus, the second largest city of the island, with the biggest port. Established as one of the leaders in the maritime industry, the company offers the whole chain of digital human resource competence management. Safebridge provides online, generic and type-specific training, promotion and assessment for seafarers, professionals and individuals in order to improve their skills and get certified. Following the strictest industry standards, policies and legal regulations, the company ensures the highest quality of its products. Since Safebridge is well-known for providing ECDIS manufacturer-approved training, the company additionally is offering the onboard equipment for individual boat charterers or owners. Moreover, Safebridge continues to extend its portfolio with the mission to offer the full stack of competence management and be able to cope with the high demands of the shipping industry.